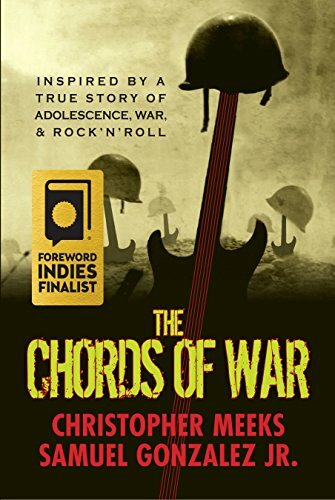 A novel inspired by a true story of adolescence, war, and rock ‘n’ roll: The Chords Of War by Christopher Meeks and Samuel Gonzalez Jr.
by Christopher Meeks, Samuel Gonzalez Jr.
Now a Finalist for Book of the Year at Foreword Reviews! Inspired by Sam Gonzalez’s true story, “The Chords of War” is the tale of punk rock teenager Max Rivera from Florida, who seeks purpose as he tries to understand why his life always teeters between music and mayhem. After he’s kicked out of his band on tour, he joins the Army to change his life. 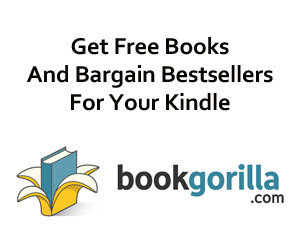 It’s after 9/11, and he finds himself under fire in Iraq, part of the surge in Baqubah. In order to deal with confusion and raging hormones during daily patrols, battles, and women fighting alongside him, Max creates a new band with soldiers. Will Max and his friends make it?